Ladi Oguntoyinbo grew up in Beaufort, South Carolina and attended Beaufort Academy, Cardigan Mountain, and Brooks School boarding schools. He played division 1 lacrosse and soccer at Hofstra University and continued his studies at the Seattle Maritime Academy. He headed out to sea as a merchant marine, traveling the world from Charleston to Kuwait and Seattle to South America. During this time, he crossed the equator twice, graduating from pollywog to trusty Shellback, a true Son of Neptune. Ladi’s sailing life has also been a journey. He began sailing at the Beaufort Yacht and Sailing Club and dreamed of racing sailboats. While home on leave after an exceptionally hard tugboat passage, Ladi got the call to join a race boat team and the rest is history. In 2006, his first year as a professional racer, the team won Block Island Race Week, Whidby Island Race Week, and the Round Statue of Liberty Race, among others. Ladi said he remembers hot summer days in Beaufort, sailing Sunfish and trying to jump tug boat waves. 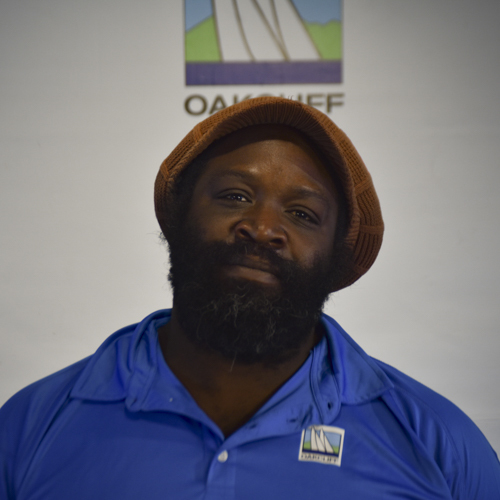 His life has come full circle, as he now works with Oakcliff Sailing to learn, train and coach.